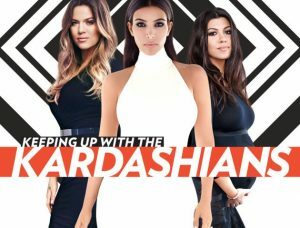 Hated by some and loved by others, but they might be the most famous family in the world: the Kardashians. If you haven’t heard of the Kardashian family by now, you might have been living under a rock. But while most of us have some kind of opinion about them, they wouldn’t really come to mind as the subjects of a scientific study. But M&M student Iris Bakker saw the glamorous jet setters as just that and wrote a scientific article about them (and more specifically, their use of the word like), and to top it all off it was published in the University of Edinburgh’s OA undergraduate journal! of like, both traditional and non-traditional variants, would not change much over the course of the 10 years of the real-time panel study. In fact, the Kardashians underwent only minor changes in their use of like in its nontraditional forms. The conclusion supports theories that suggest the feature is not subject to the lifespan change associated with age grading. Speech accommodation theory is proposed as an explanation for the patterns found. We want to compliment and congratulate Iris with the very nice achievement of publishing an article (and for making us realize that the Kardashians are, like, of scientific value)!